Anton escapes from an orphanage and successfully stows away on a boat headed for the land of 'sunshine and steaks'. A heartbreaking and heartwarming tale of loss, guilt, mistaken identity and risk-taking, migration, resilience and courage. Perfect for reluctant readers in upper p... read full description below. 'The ship was a towering fortress looming over the pier. Anton stared enviously at the emigrants lining up in front of the wide gangplank. Heading off on a voyage to a land of peace and plenty. Leaving the land of broken buildings and crushed hopes behind. Looking forward to sunshine and steaks. How he wished that he was one of the lucky ones.' 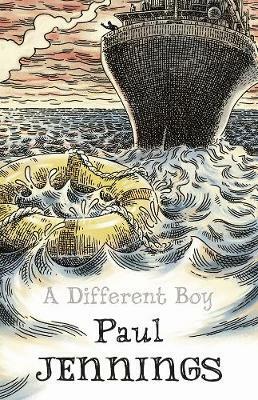 Loosely based on Paul Jennings' journey to Australia as a 'ten pound Pom', the story of Anton, who escapes from an orphanage and successfully stows away on a boat headed for the land of 'sunshine and steaks' has a timeless reality of its own. It is a tale of loss, guilt, mistaken identity and taking risks but also surprisingly heartwarming and heartbreaking. Perfect for reluctant readers in upper primary and lower secondary, it speaks of loss, migration, reslience and courage. Beautifully illustrated by Geoff Kelly. Paul Jennings is the best-selling Australian author of over 100 titles. He has won every children's choice award in Australia, but is probably best known in the UK for his story collections, including 'Unbelievable!' and 'Unreal!' as well as for being the author of the 'Round the Twist' TV series.